Women everywhere tend to have a relationship with SPF that varies anywhere from a great love affair that starts strong and ends quickly, to a cooled long-distance relationship with sporadic contact. I myself am somewhere closer to the second, typically using SPF when I remember to and it’s somewhere nearby (and not too much effort is needed to get to it), but I really should be in a committed relationship with this reliable protector that just wants to take care of my skin. Since I’m being honest with you, I’ll just admit I use SPF far from daily. I try to cheat because I buy foundation with SPF in it, but since I don’t wear makeup daily (and since I don’t apply foundation all over my face either), I’m really doing a poor job of protecting my skin from the sun’s harmful rays. 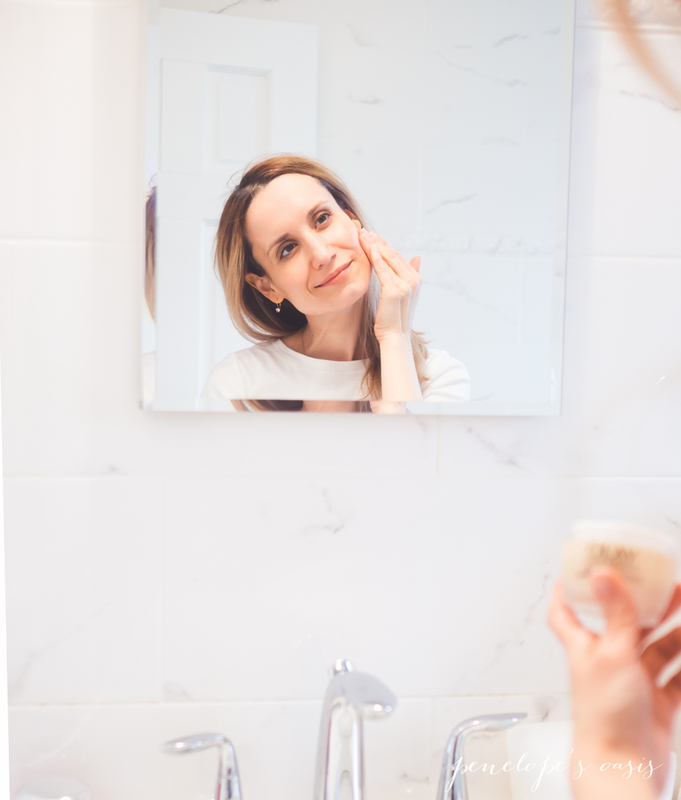 I need to show my skin love with SPF daily (and not just when I’m heading out for a day at the beach or by the pool), so at least making sure it’s in something I do actually apply each day- like moisturizer. Most of us know we should be wearing SPF daily, but only about one in three women actually do, even during warmer months when we spend more time outdoors. Most SPF isn’t that fabulous, especially not the ones we typically find for summer- streaks of white? Strong smell and thick consistency? Yuck. Not exactly pretty-making. 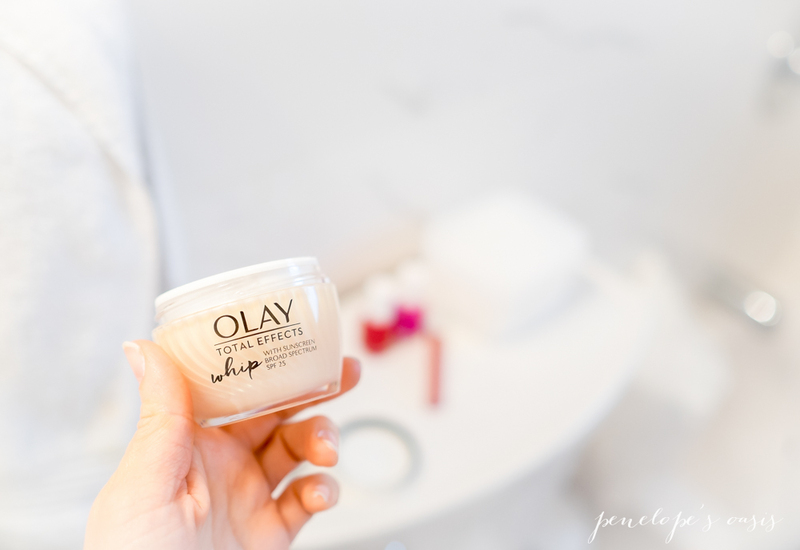 Olay Total Effects Whip with SPF 25 is a multi-tasking moisturizer that delivers seven benefits in one product, giving you so much more than a standard sunscreen. It’s sheer and lightweight, very not like typical sunscreens, and it is packed with vitamins that leave skin looking healthy. It also contains UVA/UVB protection in the lightest feeling moisturizer formula that makes my skin feel hydrated, look bright and even, and feel great. I put it to the test, leaving it on my vanity counter where I usually leave my Olay Whip moisturizer. I don’t wear foundation daily, or sunscreen daily, but I do apply my moisturizer daily, so it naturally fell into my daily regimen, enhancing it. I love that it makes my skin feel so wonderfully soft, I love the refreshing, light, airy feel of it, and I love knowing I’m protecting my skin. If you skip makeup many days but always apply moisturizer, it’s an easy way to sneak SPF into your beauty routine too! I didn’t really have a regular sunscreen, but now I do, since it’s my new Olay Total Effects Whip with sunscreen daily moisturizer. 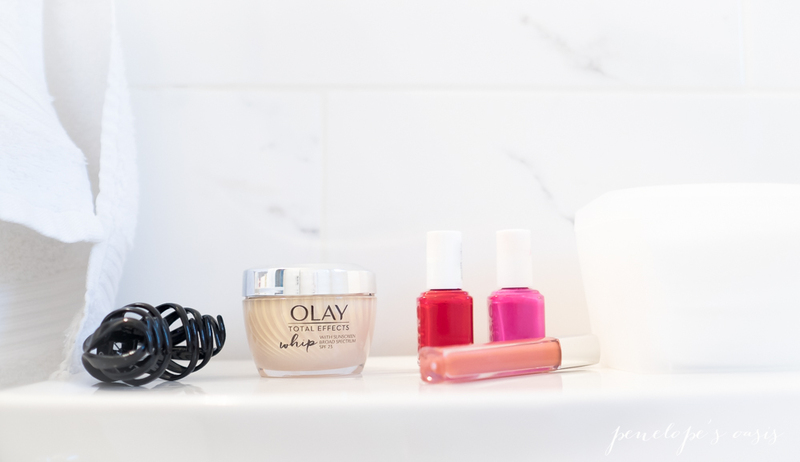 You can purchase Olay Total Effects Whip Active Moisturizer with Sunscreen (SPF 25) from Target here.